Many central provinces have recently cancelled a slew of small hydropower projects due to long delays and concerns about adverse environmental impacts and deforestation. Most recently, Dak Lak Province has eliminated 17 small and medium hydropower projects with a total capacity of 28 MW and 69 potential sites for hydropower generation with a total capacity of nearly 120 MW. The province earlier halted construction of another small hydropower plant, Drang Phok (10 MW), for fears that it would lose over 60 hectares of special-use forest. Most of the hydropower projects abolished occupy forest land, so they would leave damaging effects on forests and ecosystems. Dak Lak has a lot of hydropower projects, with about 25 currently in operation and many others under way. 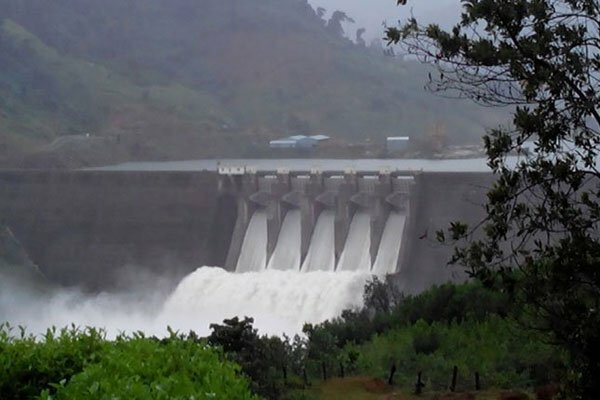 Lam Dong Province has been tightening the licensing of hydropower projects. According to a report on Lam Dong’s current environmental situation by the provincial Department of Natural Resources and Environment, the province has cancelled 28 of 57 planned hydropower projects and revoked the licenses of three others due to long delays. Currently, Lam Dong has a dozen operational hydropower plants including Da Nhim, Dai Ninh, Ham Thuan-Da Mi, Dong Nai 2, Dong Nai 3 and Dong Nai 4. They supply a significant volume of electricity for the national grid. That a lot of hydropower projects have cleared forests on a massive scale has sparked public outcries in recent years. In Quang Ngai Province, for example, four hydropower projects have led to nearly 250 hectares of forest being lost. A Quang Ngai official told the Daily that if more hydropower projects were carried out, the province would lose an extra 997 hectares of forest, including 40 hectares of protected forest. Quang Ngai has proposed doing away with 10 hydropower projects feared to result in a massive forest loss. The Ministry of Industry and Trade has asked the Central Highlands provinces of Dak Lak, Dak Nong, Gia Lai, Kon Tum and Lam Dong and others such as Quang Nam, Quang Ngai, Binh Dinh, Phu Yen, Khanh Hoa, Ninh Thuan, Binh Thuan, Dong Nai and Binh Phuoc to require hydropower plant developers to strictly implement their investment projects. Those threatening forests may not be implemented. In mid-2016, the Prime Minister called for a termination of those hydropower projects threatening forests, and a suspension of the projects that have delayed forest replanting and payment of forest environment service fee. As of end-2016, the axe had fallen on 684 hydropower projects nationwide.